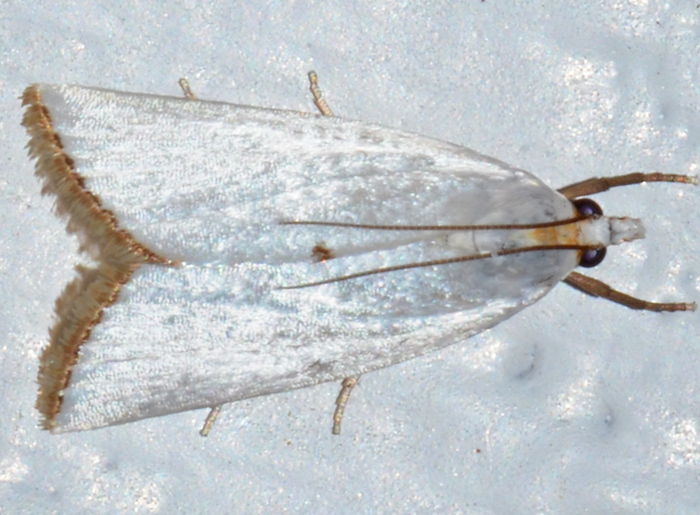 Urola nivalis - Hodges#5464 (Snowy Urola). A beautiful little moth. The wing span is about 2 cn. The silvery-white wings have a satin sheen and when the moth rests, the wings are folded over body in a tent-like fashion. Also the head and the palps are white. 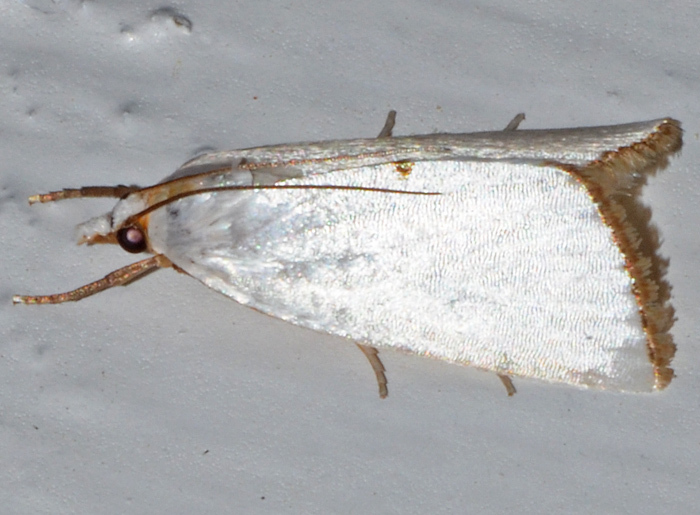 The Snowy Urola has a small dark mark at the midpoint of inner margin of forewing. The lack of additional spots distinguishes it from the similar Argyria lacteella. The small photo shows the same specimen.